Here is the seeded entry list, and the entry list by class. 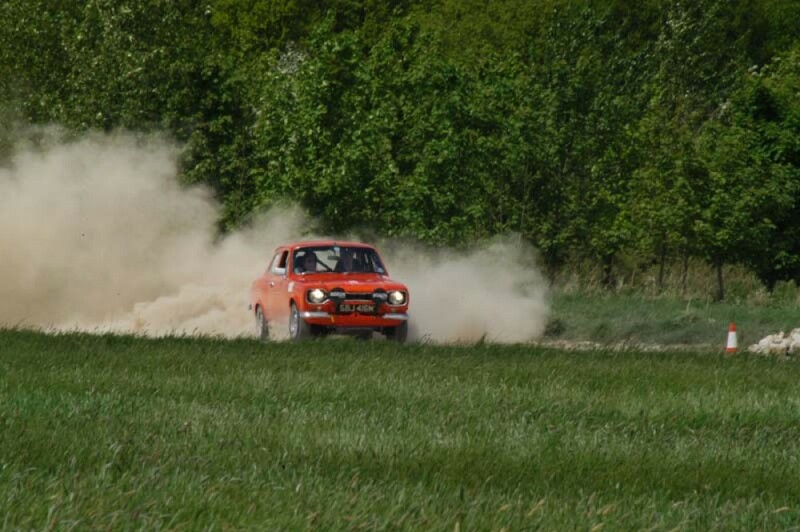 Chelmsford Motor Club announces its annual historic road rally, The East Anglian Classic. The rally is a round of the HRCR Historic Road Rally Premier Challenge 2003 incorporating the HRCR Newcomers Challenge, the HRCR Nocturnal Challenge and the HERO Challenge for pre 1960 cars, as well as the EMAMC 2003 Historic Championship. This year we welcome a new sponsor. EACS Ltd was founded in March 1994 by Mike Dearlove and has since become one of the most respected providers of IT services in the east of England. It supplies a range of companies from five to five thousand users and is a senior partner with both Microsoft and Compaq. EACS Ltd has long been associated with motor racing having helped Darren Manning's Formula Three team; its customers regularly enjoy the Brands Hatch hospitality suite. The event is based at the Holiday Inn on the southern outskirts of Norwich, a venue that has provided a sociable and friendly environment to us for several years. Once again will be supporting the East Anglian Air Ambulance, a charity that provides 24-hour airborne response across Norfolk, Suffolk and Cambridgeshire funded entirely by public donation. Competitors are offered the opportunity to make a contribution using the entry form. The route covers around 300 miles throughout Norfolk. During the Saturday Day Leg there will be a number of special tests at RAF West Raynham and other smaller airfields and surfaced tracks, linked together with simple pre-plot and plot and bash regularity sections. The night leg will feature a 125 mile route over some classic Norfolk lanes including in at least one airfield driving test. Straight-forward navigation instructions should allow everybody to complete the route. No rough whites will be included, we will only offer smooth surfaces. On Sunday morning there will be a number of airfield driving tests, followed by a buffet lunch and prize giving. The event's reputation for sociability will be maintained. The Hotel bar will be open for several hours after each leg. We hope to see you on the event. Jacqui Leech 01376 348948, gleech@lineone.net.